Home » Air Conditioning » What is Supercooling? The summer months are waning, but there are still plenty of hot days left in this season. If you’re looking for affordable ways to beat the heat, then you need to learn about a new technique that can put your A/C into overdrive. It’s called supercooling, and it can help you stay nice and cool and save you some money in the process. Supercooling is similar to several other cooling trends that have gone mainstream in the past few years. They all center around the same premise: electricity doesn’t always cost the same amount of money. Typically speaking, you pay less for electricity late at night than you do at the peak of the afternoon. Supercooling attempts to exploit this idea and save money on your power bill. The concept is pretty easy. When your air conditioner runs, it doesn’t just cool your face. It cools the air in the home, the couches, kitchen counters and everything else inside the walls. When the air conditioner stops running, it takes time for the hot day to make all of those things hot again. Supercooling is the strategy of turning your thermostat much cooler during the night to make your home more heat-resistant during the day. While the concept is easy, there are a few things you should consider before you start supercooling. The first and most important thing is that every electric utility has their own pricing. If the difference between peak and off-peak pricing is small, you won’t really save any money using this tactic. The other thing to understand is that you have to get your home significantly cooler for this to work. We’re talking about getting the temperature into the 60s. That means you might need warmer clothes and heavier blankets for nighttime. So, Does it Really Save Money? Generally speaking, supercooling will save you money but only during the hottest months of the year. In Schererville, that mostly only applies to July and August. It also helps to pay attention to the weather. Supercooling is a waste of money if a strong storm system is going to keep the temperatures down anyway. But, when all is said and done, this is a great way to make your system more efficient. It doesn’t just lower your bill; it can actually use less energy overall. A quick conversation with Cliff’s Heating can get you in touch with a certified Master technician. 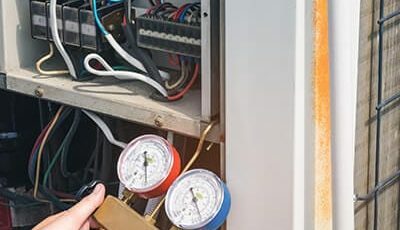 We will service your system, make recommendations for improvements and even set you up with a new York air conditioner and free installation. Contact us today!